Air New Zealand is expected to become the first customer to take delivery of a Sharklet equipped Airbus A320 by the end of the year. Trials are currently taking place at the Airbus facility in Toulouse using their own development aircraft retrofitted with the kit. The device cuts down on aerodynamic drag by helping reduce the spiral-shaped vortices that form at the wingtips of aircraft during flight. Their introduction on the A320 is expected to result in at least 3.5% less fuel burn over longer sectors – with an annual CO2 reduction of some 700 tonnes. They also should allow for less thrust to be used during takeoff when runway performance is not “limiting.” In addition to their environmental benefits, Sharklets will provide aerodynamic improvements resulting in multiple performance advantages for operators. Work will start this summer on an improvement scheme for the A45 trunk road which runs past Birmingham Airport (BHX) and will allow for a 405m runway extension. When the work is fully completed in the spring of 2014 BHX will have operational a single 3000m long runway allowing for non-stop flights to Los Angeles and Hong Kong with the Airbus A380 and Boeing 777 and, for the future, Singapore by Airbus A350 and Boeing 787. The runway extension works are currently estimated at £33m and will be funded by the airport. It is making a further investment of £13m for the construction of a new air traffic control tower and radar system, which will be operational in 2013, and £9m in a resurfacing of the current runway. BHX has a complex ownership arrangement: 49% – seven West Midland Metropolitan District Councils; 48.25% – Airport Group Investments Ltd (AGIL), a limited company owned by the Ontario Teachers’ Pension Plan (Teachers’) and Australia’s Victorian Funds Management Corp (VFMC); 2.75% – Airport staff, through an employee share trust. 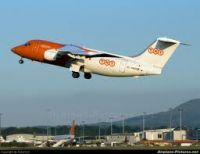 The Nice and the Rivera community really laid out the red carpet for easyJet last week as the carrier introduced new bases at both Nice itself and Toulouse. The fact that the airline only now operates Airbus aircraft was a small factor in a welcome in which the local mayor called The Rivera “once a British colony”. Hardly true but English is widely spoken and there is a warm welcome for the Anglos. 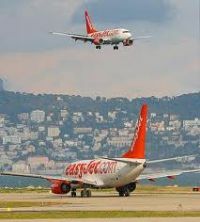 Carolyn McCall, easyJet Chief Executive, highlighted the airline’s impact in France since it opened its first base at Paris Orly in 2002. She told a large audience of French and English media that last year the carrier showed a 19% increase, to over 12m passengers to and from, and within France, taking 12% of the total national air travel market. easyJet now employs 800 staff in France and is the country’s largest domestic carrier. 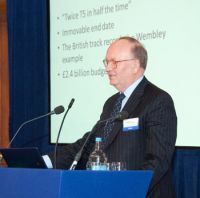 With the Great Western rail franchise replacement consultation open until 31 March, Richard Brown, Managing Director of North Star Consultancy, has highlighted the fact that any Heathrow mention is restricted to details of when the Connect stopping service will become Crossrail and acknowledgement that rail access to Heathrow from the West might be possible by 2020. He says that the Heathrow Express could be downgraded to allow services on the fast lines to serve the Thames Valley. With the end of the Heathrow Express track access agreement in sight (2023) and the 2030 vision of capacity, Mr Brown has some sympathy with the suggestion that Heathrow could be served by a 10 trains per hour Crossrail service to Central London. But he asks “Can Crossrail become a proxy rail service for 6m travellers who use the Heathrow Express?”. Crossrail trains are not designed for airline passengers with their luggage but commuters, a different type of passenger. Iberia Express, Iberia’s new short- and medium-haul offspring, began operations yesterday (25 March) with flights between Madrid and Palma de Majorca, Alicante, Malaga, and Seville. A total of 17 destinations will be served during the summer season, including Amsterdam, Dublin, Fuerteventura, Ibiza, Lanzarote, Minorca, Naples, Palma and Vigo. The airline held a press conference in Madrid last Friday hosted by the Iberia CEO Rafael Sánchez-Lozano and Iberia Express CEO Luis Gallego. The new unit is designed to restore profitability to short and medium haul routes, operating initially with four A320s on domestic and European routes. A total of 14 A320s and a staff of 500 people is expected by year’s end. The heads of the UK’s four major airlines have warned the British Government that there could be chaos at London's airports during this summer's Olympic Games, which would cause major embarrassment to the country unless a deal can be reached over their concerns. In a blunt letter to the Department for Transport, British Airways, bmi, Virgin Atlantic and easyJet said time was running out to tackle the expected surge in air traffic and its impact. According to the airlines’ bosses, failure to address their concerns could bring misery to millions of travellers including those coming to London for the world's biggest sporting event. "As the situation currently stands the industry believes that there is a significant risk of severe delay and disruption at all of London's major airports unless urgent action is taken," they wrote in a letter to the Government. "Time is running out to ensure that any changes to procedures and the appropriate training are in place prior to the Games." UPS, the US package delivery company, has agreed a deal to buy its European rival TNT Express for €5.1bn. It is already the world's largest package delivery company. Speculation has been rife of a tie-up between the two delivery companies. UPS has been tracking TNT for some time and made an aborted bid in 2008. The move would increase the American operator’s presence in Europe and would also give the US company a domestic network in China, where it has been keen to expand. Last year the former TNT, Dutch-owned, was broken up into two distinct companies, TNT Express and the postal company PostNL. Effective last weekend (25 March 2012) Arik Air, privately-owned and Nigeria’s largest airline, again suspended its service between the Federal capital Abuja Nnamdi Azikiwe International Airport and Heathrow. Lagos – Heathrow, operated by a two-class Airbus A340, continues with a daily flight. 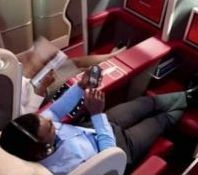 The airline also has a successful New York (JFK) – Lagos operation both services connecting to many west African destinations including Luanda (Angola), Ouagadougou (Burkina Faso), Cotonou (Benin) and Bamako (Mali). The carrier also flies to Johannesburg. AERBT has to report that that Cabair International (UK) Ltd has ceased trading. The Directors have appointed BRI Business Recovery and Insolvency to assist the company in being formally wound up and has convened shareholders and creditors meetings for 27 March 2012. A CAA spokesman said that Cabair International met all the financial criteria when it applied to the CAA to operate as a flight training organisation. A request has been made for the student records to be forwarded to the authority. “Once a student has identified where they plan to resume their training we will forward their records to the new flight school. The training school hit difficulties late last year when it announced it was going into administration. Investment was found at the last minute, which meant it could keep its Cranfield operations going. This has now ceased. America’s capital city will soon have enhanced non-stop flights to the Gulf area when Emirates introduces flights from Dubai to Washington Dulles International Airport from 12 September 2012. The carrier will compete with the well established and revitalised United Airlines operation. Flight time is around 13 hours. easyJet will tomorrow (27 March) introduce a three times a week service to Keflavik International Airport (Iceland) from Luton. An Airbus A319 will be used for the three-hour flight to Keflavik International Airport about 30 miles south west of the capital Reykjavík which has its own city centre airport serving domestic flights. The market to and from Iceland is very competitive considering the country has a population of just 320,000 with three carriers competing. Iceland is also very expensive and not really ideal for stag weekends with beer at around €8 a pint. Icelandair will next winter increase its schedule from London adding twice weekly winter Gatwick departures to its current twice daily Heathrow services. Flights connect with the carrier’s transatlantic programme to Boston, Denver, New York and Seattle. Flybe, which claims to be Europe’s largest regional airline, has introduced last weekend a new Manchester hub operation that offers an additional 86 regional point to point connections and 12 new flights through the airport. It also coincides with the clocks going forward in most of western Europe and airlines changing over to the summer timetables. Key to the initiative is improved connecting times both domestically and for onward international travel. Passengers travelling to and from Aberdeen, Belfast City, Edinburgh, Exeter, Glasgow, Inverness and the Isle of Man as well as those flying with its franchise partner Loganair from Norwich will benefit in particular. ITB Berlin, the world’s largest travel exhibition, was the venue for the public unveiling of Qatar Airways new Boeing 787 interior. The actual first aircraft is expected to be unveiled at the Farnborough Air Show in July and shortly afterwards go into service on the airline's blue ribbon Heathrow – Doha route. Very noticeable to passengers will be the much larger than normal windows and ergonomic interior design. Qatar Airways 787s will feature a total of 254 seats in a two-class configuration of 22 in Business Class and 232 in Economy. With a 1+2+1 configuration in Business Class, the aircraft layout features two less seats than competitors on conventional wide body aircraft, more typical of a First Class cabin where each passenger is assured of direct aisle access. 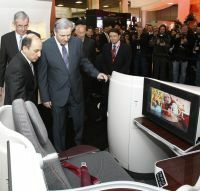 The seats have been designed exclusively for Qatar Airways. 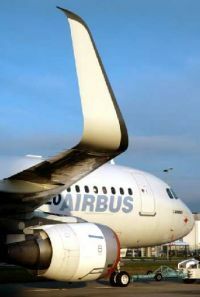 Last week the World Trade Organisation (WTO) pronounced on the alleged subsidy row between Airbus and Boeing with both sides claiming victory. AERBT, rather like all watchers of the air transport scene, was confused. There is fierce competition between airlines and the suppliers of their aircraft. Airlines seek fuel-efficient aircraft at the best price. Thus, the Boeing/Airbus subsidies cases at the WTO matter greatly. Clearly the only ones to benefit are the lawyers. So we asked our tame legal experts to clarify. 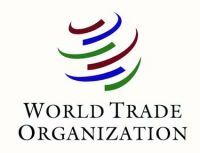 “The WTO examined both sides’ allegations and asked: was there a subsidy? Was it “specific”? Did specific subsidies cause “adverse effects” and what remedies apply? The US alleged that the EU and France, Germany, Spain and the UK had subsidised Airbus over 300 times in 40 years. The EU complained that the US had subsidised Boeing for up to US$19.1bn between 1989 and 2006. A planning application by George Best Belfast City Airport for a 590m runway extension has been withdrawn by the airport authority. 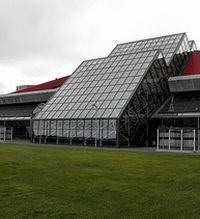 In a statement on Friday (23 March), the airport's Chief Executive Brian Ambrose said that some of the information in the original plan was "out-dated". "As the planning process relating to the runway application is now in its fourth year and some of the information contained within is now out-dated given our current operations, we have taken the decision to withdraw the current application. Our shareholder has therefore reprioritised capital expenditure within its extensive portfolio. Apex Hotels has added a third property in the City of London. 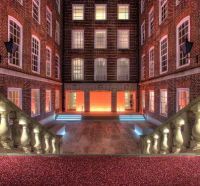 The Apex Temple Court is situated at 1-2 Serjeants’ Inn, Fleet Street, London EC4Y 1LL, a boutique hotel offering 184 rooms centred around an outdoor courtyard. It is on land actually owned by the Inner Temple. Deluxe, Junior Suites and Master Suites boast 3D HD TVs with dedicated Sky boxes and the hotel also offers complimentary wi-fi and free local calls. All these grades have the availability of a Club Lounge, available 24 hours a day. There is also a small gym. The hotel is a very short walk from City Thameslink Station with regular fast services to Gatwick (40 minutes). New for the vastly invigorated and improved Gatwick Airport at the start of the summer schedules yesterday (Sunday 25 March) are flights to Milan (Malpensa) by Air One. AERBT reported on BA changes last week. Part of the Alitalia Group since January 2009 the airline has introduced twice daily flight services to what is Milan’s long haul and low-cost airport located about 25 miles outside the city. 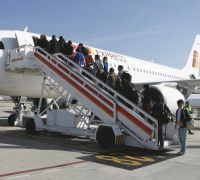 The carrier operates single class Airbus A320 aircraft but sells the first three rows with pre-selected seats, and also those by the emergency exists. New Delhi, capital of India, is to be Kenya Airways newest destination starting 15 May 2012. The much anticipated service from Nairobi marks Kenya Airways 57th global destination and 2nd in the Indian subcontinent. The airline will operate the eight-hour flight four times a week with a two-class Boeing 767-300. 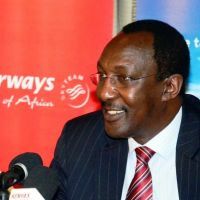 The new route highlights Kenya Airways ambitious growth plans, according to Dr Titus Naikuni, Chief Executive Officer. "New Delhi is the second city after Mumbai that we will be flying to India, we intend to open four more destinations in the sub-continent as part of our 10-year expansion strategy." Dr Naikuni noted that the destination has great business prospects as New Delhi is one of the largest cities in India, and the most preferred city in terms of information technology, investments, healthcare and government relations. With a throughput of 10m passengers last year, and now firmly established as the number three French airport, after CDG and Orly, Nice Côte d’Azur (NCE) is embarking on a major terminal development programme. This is not due to be completed until 2019. 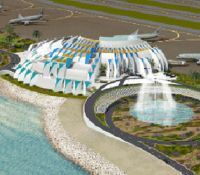 Also underway nearby is an 80,000 sq m convention centre, linked and inland from the airport’s railway station. With two parallel runways (but not operational at the same time) NCE has no airspace congestion problems and claims to be Europe’s third busiest executive jet operation, this time after Le Bourget and Geneva. 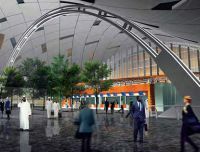 In addition to increased flight schedules the airport has introduced a number of new initiatives designed to improve the passenger airport experience. Among these is a free new iphone application, which was launched in December and provides customers with up-to-date news on flight status and helpful telephone numbers for the airport’s public services. Whilst Ryanair is always very conscious of its safety requirements it is under scrutiny for the way it allocates passenger seating. Passengers are now charged an extra £10 for the first four rows and using the seats amidships by the emergency doors over the wings. However if these are not taken people seated the next closest position to the escape routes are briefed on how to operate the doors. They could be several rows away. 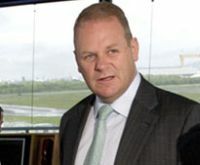 The issue has been raised both by the Irish Aviation Authority (IAA) and the British Airline Pilots Association (BALPA). The UK CAA said that the issue was a "grey area" and has asked for clarification.